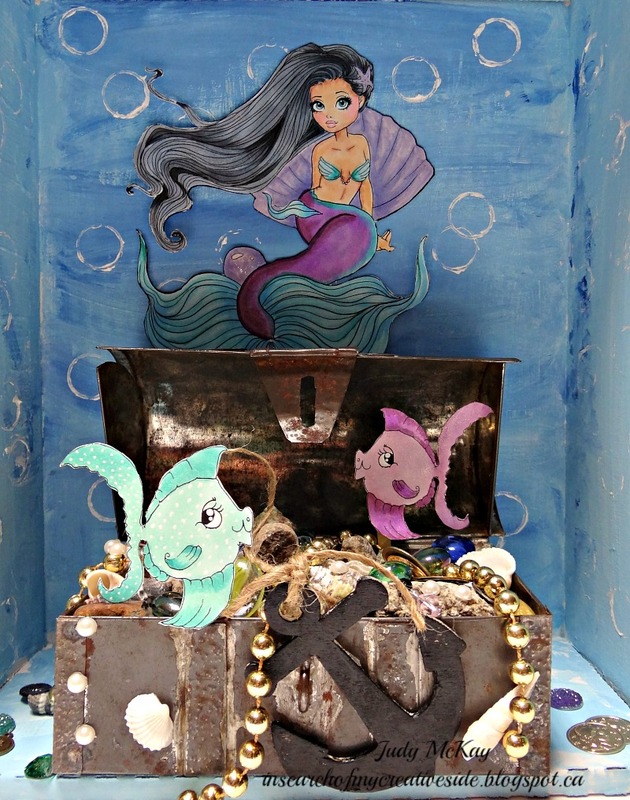 Bec is hosting our By or Under the Sea challenge. We want to see what you can come up with that is either an underwater scene or a coastal/beach scene. I have used an old stamp set that is a favourite for this fun card. 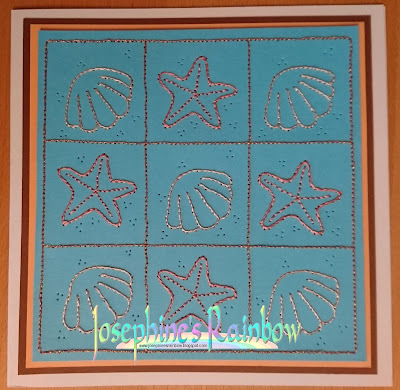 One of the things that I think of when I think of the seaside is seashells, so these sweet stitched motifs seemed perfect! You never know when by the 'sea' what you might 'see'. I see a little mermaid blowing bubbles. 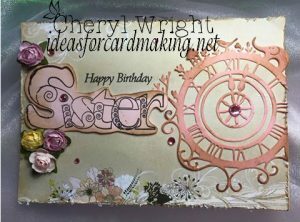 She was coloured with Prismacolor Markers and I sponded the image background and the corresponding piece behind it with Stampin Up ink. 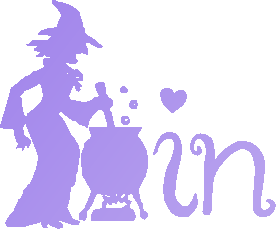 The sentiment was created on a Word' document. The theme of "by or under the sea" brought to my mind "lost treasure". I had this small old metal box that I had in stash. My assemblage is made of bits and pieces of findings and a couple of pretty digital images. 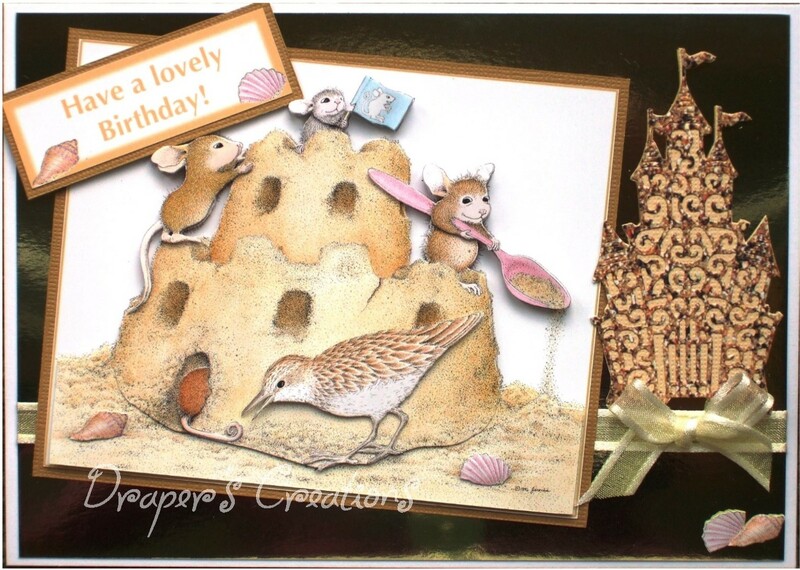 I love House Mouse designs so I used a decoupage sheet from the Silly Summer set from Joanna Sheen which I had in my stash. To embellish my card I used a Tattered Lace castle die to create a 'sandcastle'. Made this with leftover Masterboard, Kanban Industriana papers. 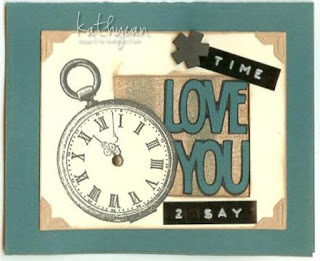 The dies are by Tim Holtz and Marianne, stamps by Joy, Marianne and Tim Holtz. 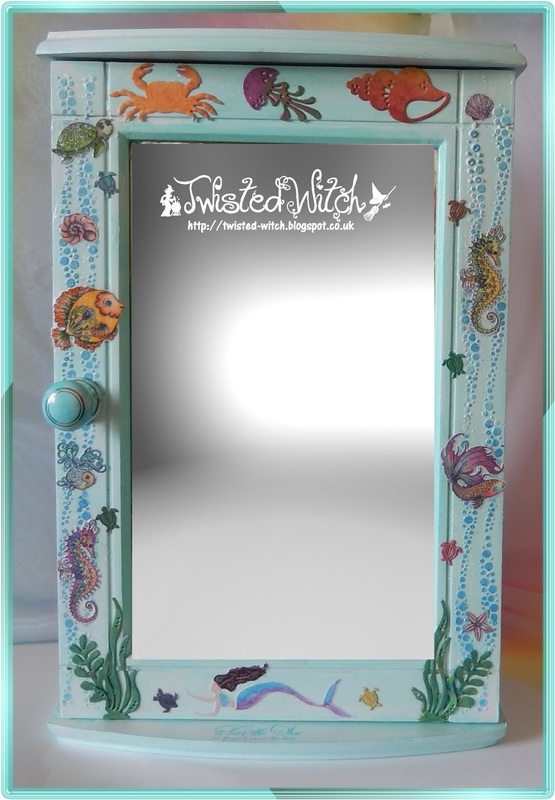 Finished the inside with the addition of Stickles Glitter glue. 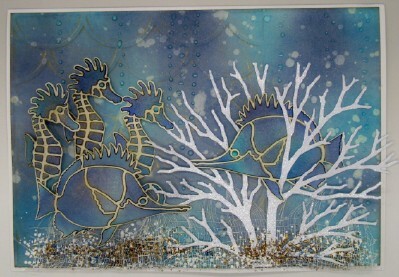 My card has been made using a couple of Sea themed Dreamweaver metal stencils (Seahorse, Fish and Scales background), a tree die and plenty of dye based ink. 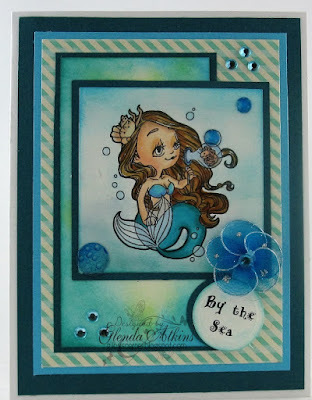 Used an Under the Sea embossing folder inking and heat embossing it. Cut out a circle for my background to highlight my sea animals. 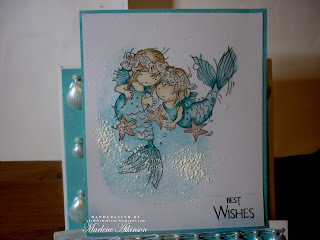 Lots of sponging, touches of glitter and glossy accents. I used watercolors for this sweet stamp by Phyllis Harris. I decided to keep this one in my Craft Room in honor of my little brother, Scott. 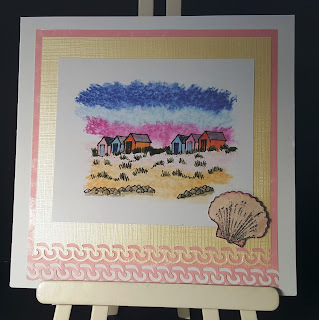 My card was made using spectrum aqua pens to make a background and a rubber stamp from my stash. 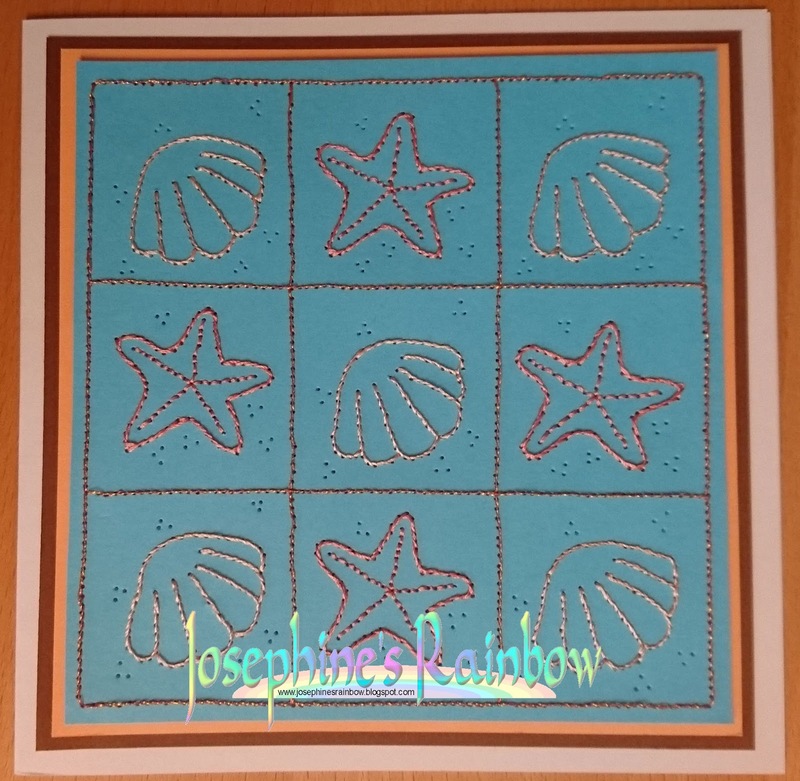 I have used some Hobby Art stamps and shells to create my under the sea themed card. For this card I have used an Lili of the Valley Stamp, made into a Centre Fold card. Good morning, it's Winners time again. Such a shame we didn't have more entries, but those we had were worth the visit. Love the soft and delicate colour palette, which was perfect for all those gorgeous shells! Lin is hosting the challenge this time. Our theme is time. You can interpret that how you like as long as it relates to time in some way, and if it is NOT obvious you must tell us how it matches the theme please. I've used some dies from the Do Crafts Chronology collection to make the watch, along with paper and a label from the Persimmon collection, finishing with a computer generated sentiment for a belated birthday card. 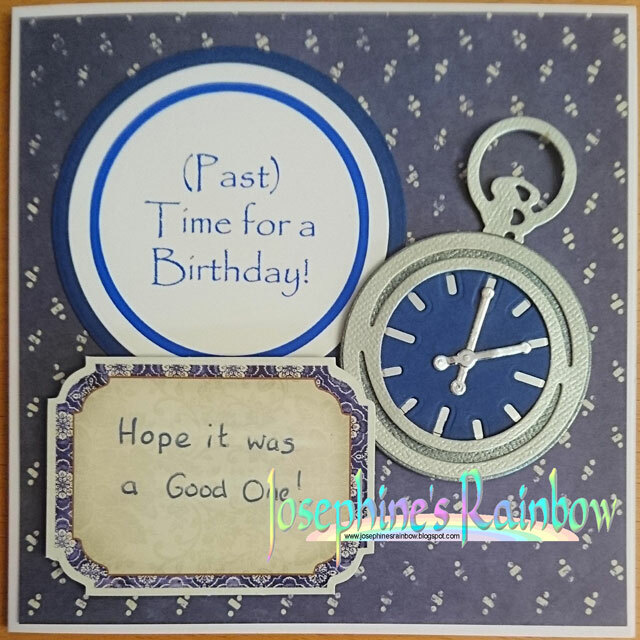 I used a stamp with a theme of pocket watches and a script type background . I made the butterflies dimensional and sponged the background for a vintage type feel. I will be using it for a sympathy card. I had this men's watch a friend gave me for my stash of findings and I immediately thought about it for this challenge. 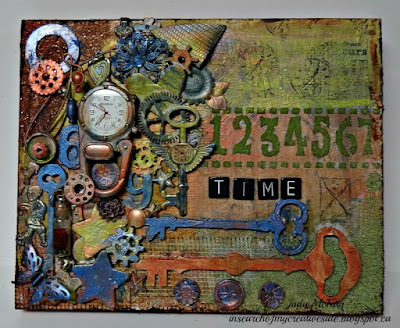 Lots of different elements can be found in the collage including star, butterflies, flowers, bottle, sewing bobbin, jewellery, numbers, tiles gears, stencil, and keys. 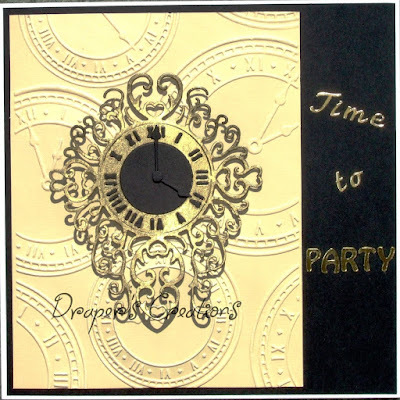 I sponged some clock dp then continued to ink the corrugated cardboard and adding the clock face. 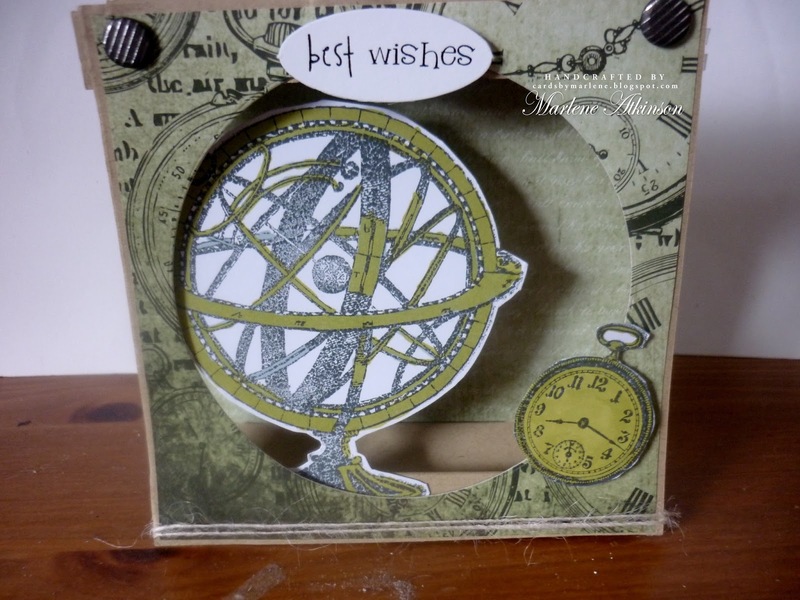 Also attached some cogs, sentiment, liquid pearls and cotton and distressing the edges. 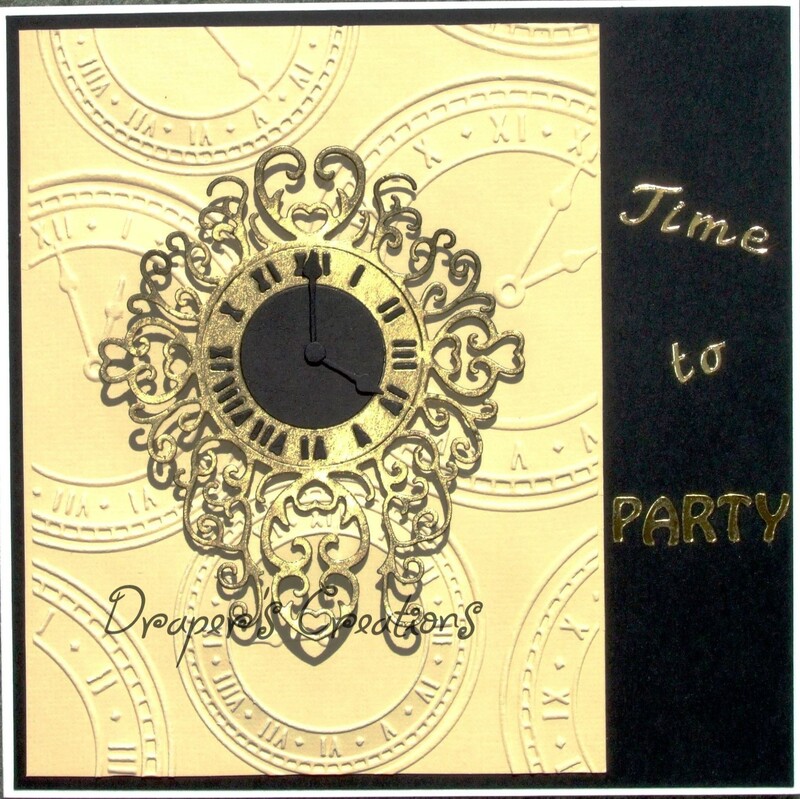 I have used a Darice embossing folder to emboss the clock background and a Tattered Lace die for the central clock. 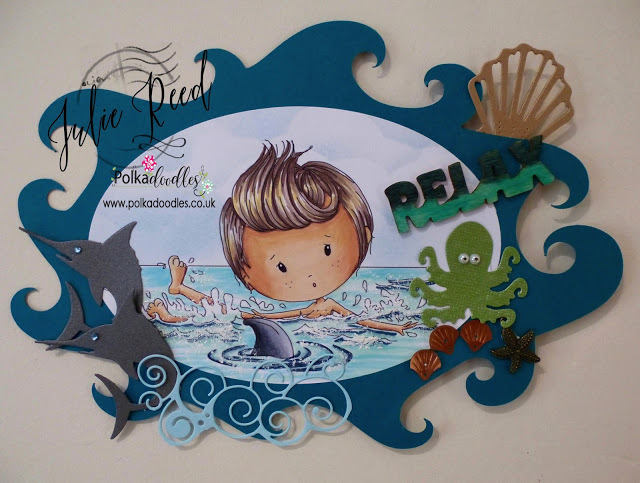 The sentiment was created from peel off letters. 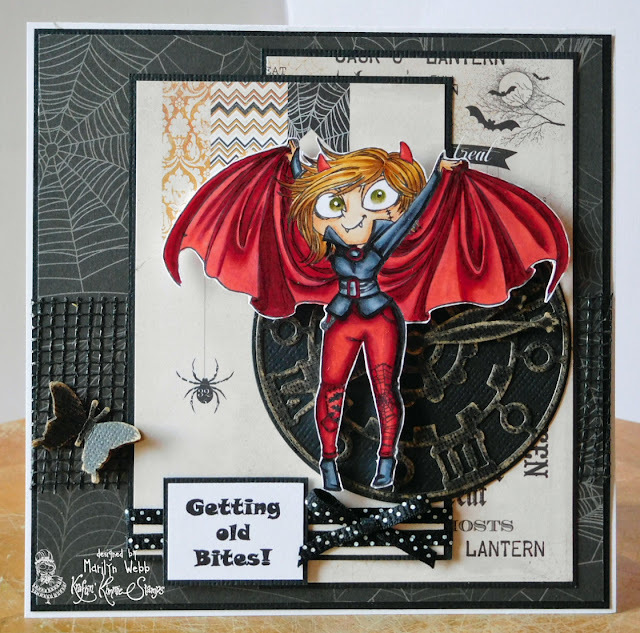 For my card I decided to use some stamps and papers from Crafty Individuals alongside some die cuts. 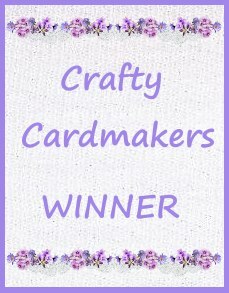 For this card I decided to use some stamps by 'Pinkpaislee', 'Sam Poole' and 'Stampendous'. The background paper was sprayed with inks before being stamped and the sentiment was made using Tim Holtz dies. 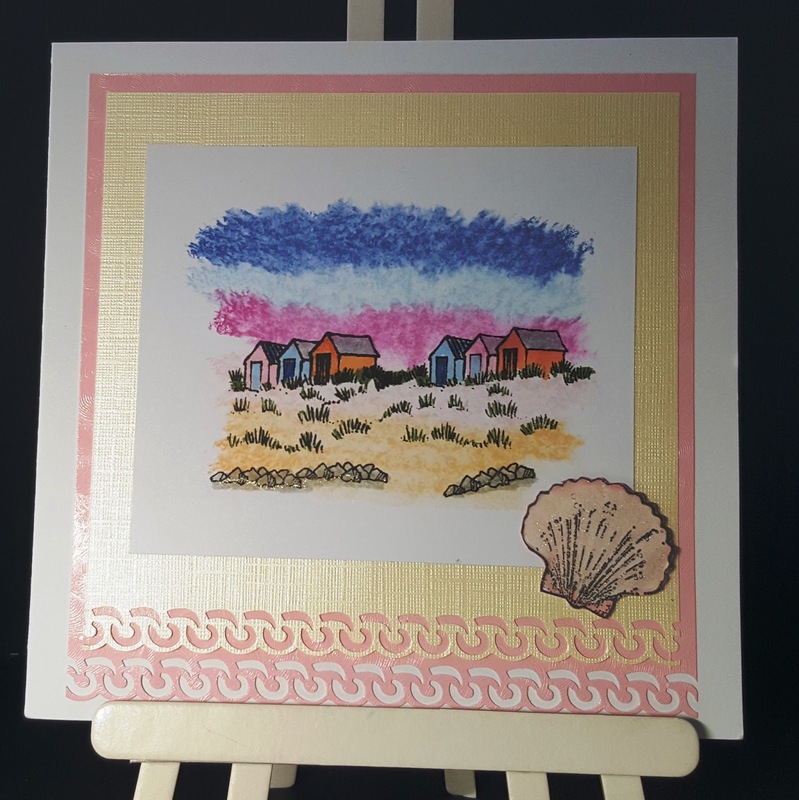 I have used the Kaisercraft Sears & Son range to make a special card for my grandfather. This reminds me of my mom. She worked hard, but always found time to play. I hope that you find "time" to play. 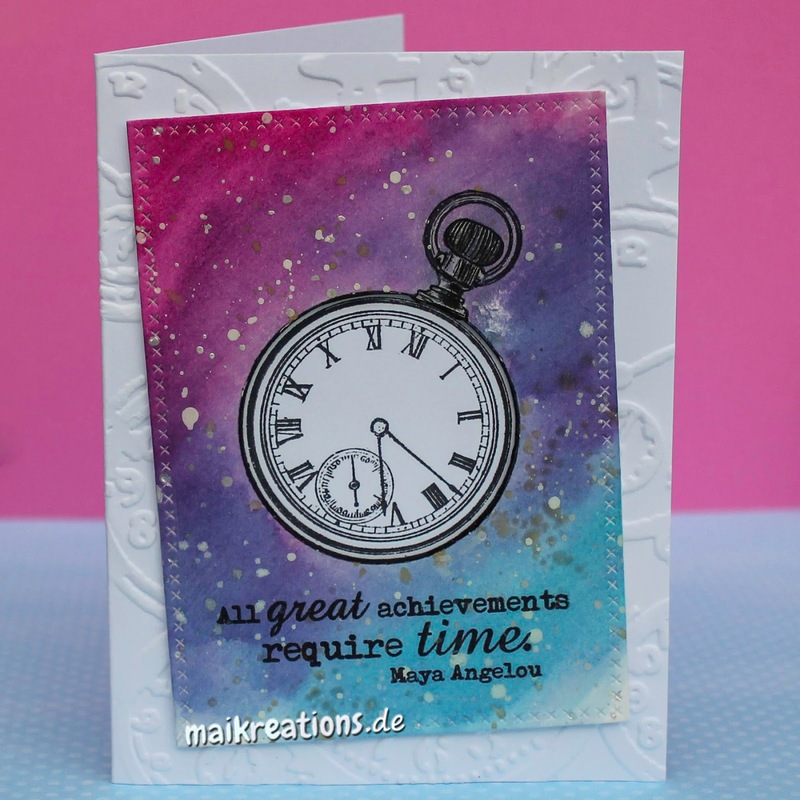 This card is for a friend of mine who finished his doctoral dissertation after quite a lot of time of studies and research. I used a stamp by Technique Tuesday and created a galaxy like background with Distress Inks. 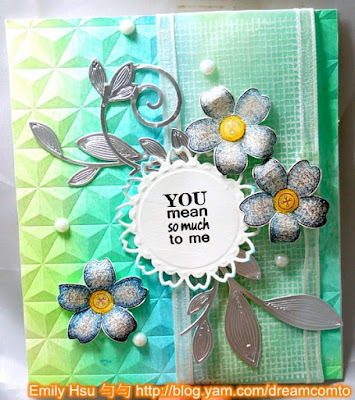 I love the shape and all the fun elements on this card. 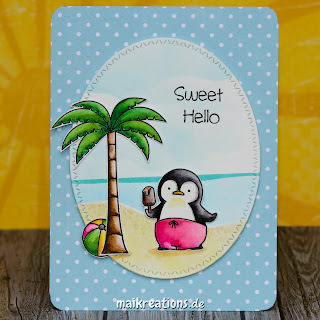 Great Summer feel.